I'd last paddled the crystal-clear waters of the Swift River back in 2014 and this past Tuesday decided to return. Doing so allowed my fortunate escape from the low clouds and fog that plagued eastern Massachusetts on that day. On the Swift in the central part of the state I enjoyed sunshine, fall foliage, and summer-like warmth. ...on Cold Spring Rd. in Belchertown which provides access to an approximately 6 mile stretch of the Swift between Winsor Dam (actually Rt. 9) on the Quabbin and the dam downriver at Bondsville. I spent a little time in the area of the dam but didn't realize until later that not one, but two railroads, once occupied the immediate area. The rails running alongside the Swift in the above photo were the Boston and Albany's Athol Branch which traversed the Swift River Valley until the creation of Quabbin Reservoir flooded the valley further upriver in the late 1930s. 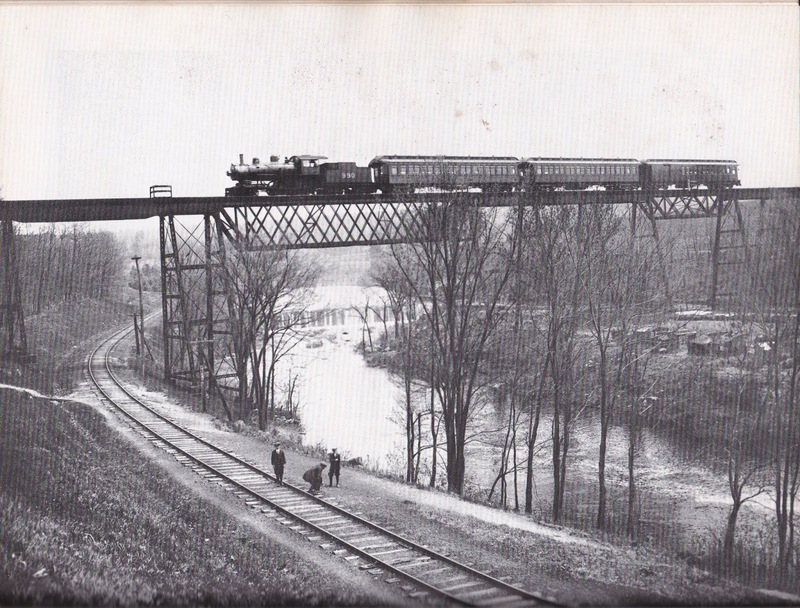 The high Central Mass RR trestle survived until 1983. The waters of the Swift River are the clearest I've ever paddled. As long as Quabbin Reservoir continues to provide high-quality drinking water to the faucets of Greater Boston, this section of the Swift should remain pristine. To the left is trash found in the river while to the right are bottles found next to a fire ring on a small island. I totally forgot about the railroad bridge. I don't think I ever saw a photo of it. I used to see the bridge footings everyday on my commute to the Quabbin. Thanks for posting. Hello George, In the book "The Central Mass." published by The Boston and Maine Railroad Historical Society, Inc. the photo is full-page and is credited to the George I. Girouard Collection.